The NV4500 transmission was manufactured by New Venture Gear in late 1992 for Dodge and Chevrolet pickup trucks. When New Venture gear built this transmission they used the carbon fiber synchronizers which required the use of Synchromesh. This fluid is very expensive and needed so the carbon synchros would avoid wear. Synchromesh fluid can be found at most auto parts stores and dealerships. This fluid can be difficult to find at times. and replace the carbon fiber synchros with solid brass synchronizers. We have found with our experience that the solid brass synchros not only hold up better but it also requires a less expensive fluid. 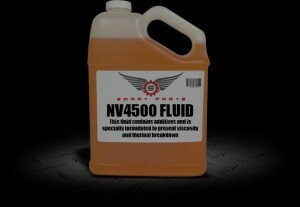 The recommended NV4500 transmission fluid is a 75W90 full synthetic fluid. We also recommend that you fill it with 4 to 4-1/2 quarts of fluid. This fluid is more common and easier to find at any auto parts store or local dealership. Benefits of using NV4500 brass synchronizer rings versus the manufacturers carbon fiber synchro rings. Synchronizer rings are used in manual transmissions which allow the engagement to be smooth between the gears. New Venture Gear starting manufacturing the NV4500 transmission in late 1992. At that time they thought that the use of a carbon fiber lined synchro rings would hold up and be the best option for this transmission. Over the years we have found out that they were wrong. Carbon fiber rings sound strong and you would think they would hold up well in the Dodge Ram and Chevy Silverado pickup trucks. These transmissions with the carbon lined synchros require a special fluid from the manufacturer which is very expensive and has to be used to help prevent the rings from chipping. We have found that these rings will start to wear and chip over time and eventually cause the transmission to grind and cause problems. This manual transmission is used everyday for people who haul a lot of weight. The most common thing I hear is “I was driving my Dodge Ram 2500 and I was pulling a trailer and I lost 5th gear”. This is happening everyday, somebody out there is on the side of the road in there Dodge truck with no 5th gear. You would have thought that New Venture Gear would have designed a manual transmission without this big of a problem. Millions of people everyday are depending on there Dodge Ram or Chevy Silverado pickup trucks to haul heavy loads for work or maybe even just get them back and forth to work. These are the reasons why this is happening, because the NV4500 manual transmission was not manufactured correctly from the beginning. The most common issue with the NV4500 five speed manual transmission was the 5th gear nut coming loose on the rear of the main shaft due to insufficient support. The nut would come loose and the 5th gear would slide rearward causing it to loose 5th off the counter shaft and then lost somewhere in the tail housing. They also used a half spline main shaft which does not allow the nut to stay on. This issue has made this manual transmission the most popular transmission.